K.A.S. Painting & Decorating, Inc. Comment: Three bedroom, 2 bath double-wide mobile home. Comment: Two story, century, wood-sided home needs old paint scraped off and new paint applied. Comment: 20' by 15' pergola and a small 5' by 5' entrance to our house with stairs. It is looking run down and has some moss growing on it. We would like it cleaned and stained (if appropriate). Comment: repair garage walls where needed and paint ceiling and walls in garage. Comment: Great room ceiling and walls painted, stairway ceiling and walls painted. 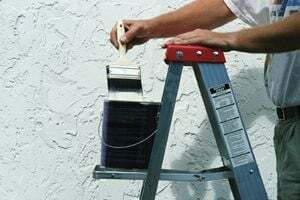 Madison Painting Contractors are rated 4.68 out of 5 based on 273 reviews of 27 pros. Not Looking for Painting Contractors in Madison, OH?